Now you can rest easy knowing that we are here to make sure that your health problems do not become your wealth problems. 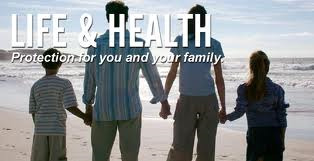 We partner with you to put you in control of your healthcare costs. We make it easy for you to compare plans so you can choose the one that best fits your needs. We work with various providers that offer a huge variety of plans and choices, so you can personalize your coverage. Insurance companies offer major medical, short term medical, catastrophic, vision care, dental care and child-only plans. Making decisions about insurance for you and your family is important. Naturally you want the best coverage, with an affordable premium and also a wide range of products to choose from to suit your specific needs. With the Affordable care Act (Obamacare) going into effect; health insurance market is undergoing lot of changes. This act makes health insurance compulsory for all individuals. It is also affecting the health insurance provided by the employers. All these changes in the rules and the attempt of the insurance companies to abide by them is causing the health insurance market to change every day. All these changes require us to be updated about the changing market trends, new health plans, fluctuating rates and many more such things.